I couldn’t believe the article I read in yediot, where the Aguda’s Rabbi Litzman had reservations about the legislation to limit the volume of the call to prayers, mainly used by Muslims, but also to usher the Shabbos. When I travelled to India, I disliked my trips to Hyderabad. My hotel was decent, one of the few, but each morning I was woken by a cacophony of calls for prayer coming from outside, far away. I also heard this in Kochin (where the Muslims and Hindus said it at the same time and it was a war of blaring stupid sounds). Why should anyone who is asleep be woken by an antiquated method to remind people of the time(s) of prayer? At 3am and 4am and whenever? People used to have a “Shabbos Zayger (timepiece)” which was more ornate so that they could wear it in a place where there was no Eruv because it was a piece of Jewellery as well as being functional and according to most opinions permitted to wear. I know that some Charedim forbid “smart phones”, but even dumb phones can get an SMS. I can think of many other ways of alerting people to Shabbos. There could be lights that go on and off, and change colours. They could even indicate when Shabbos was out according to both opinions. These don’t cost the earth. They could easily be installed in the entrance of Shules and Shtieblach for those who are chronologically challenged and unable to discern that the widely known time for Shabbos coincides with the timepiece on their hand. Charedi/Muslim Entrepreneurs this is a business opportunity! In days of old, there was a custom for someone to knock on the doors of each house to announce Shacharis, the morning prayer. It made sense. They didn’t all have clocks, and even today, an alarm clack is used by many, even in the guise of a smart phone alert. When I learned at Kerem B’Yavneh, the last people on guard duty knocked on each door to arouse us from our slumber. Okay. That’s fine. It didn’t wake up the people in Kibbutz Yavneh a few kilometres away. There is no place, in my view, to disturb anyone’s sleep in today’s age, because of one group (be it any religion—the Hindus do it in India to counter the Muslims) wanting to announce prayers. Let me correct that, there is a place: in a village where everyone wants it, and the sound doesn’t disturb neighbouring areas, that’s acceptable. But if one person objects (they might even be sick!) then they should desist and find another solution. All this does is reinforce in my mind, that people have taken mimesis to a level that goes well beyond the concept of Mesora. There are Halachos which pertain to sounds: shofar, trumpets for war etc. These are not daily occurrences nor are they simply mimetic. It seems that it’s not only the medieval style of dress, which Moshe Rabbeinu didn’t wear, and which is Kodesh Kodoshim is now being extended to a siren as THE only way to make sure people are aware that Shabbos is happening. Halachically, it might even be better not to blow such a siren in areas of irreligious. It’s better they do things unknowingly, than knowingly. Rabbi Litzman should go to Machon Tzomet, and arrange for a pocket tiny device to be put in the hat and tichels/sheitels of those who wish to have personal shabbos alarms, send them a mild electric shock heralding that Shabbos is coming in. It could be sold to Muslims to insert for their times of reminding. Come on, we aren’t living in the dark ages. We are fully able to observe Shabbos without disturbing anyone else, and Muslims are fully capable of finding ways to wake up for prayers without someone yelling across the mountains from a fancy modern sound system which is hooked up (heaven forbid) to electricity (another new innovation). The “Muezzin Bill,” which aims to prevent mosques from using loudspeakers to announce prayer times, is raising a great deal of opposition, with Arab MKs and activists protesting Tuesday in the Arab city of Sakhnin and planning additional protests on Wednesday in Jaffa and the Arab city of Baqa al-Gharbiyye. A surprising bit of opposition, though, has emerged from among the ultra-Orthodox community, with Health Minister Yakov Litzman filing an appeal on Tuesday to prevent the Knesset from voting on the Muezzin Bill, thereby sending it back to the government for further review. This will also force Prime Minister Benjamin Netanyahu, who has already voiced his support of the bill, to weigh in on the matter. Whomever can’t stand the sound of the muezzin is welcome to go back to where they won’t hear such sounds.” The Palestinian Authority also criticized the bill. Palestinian President Mahmoud Abbas’s office warned against the ramifications of voting the bill into law and threatened to turn to the UN Security Council and other international organizations if this were to happen. I can’t wait for Abbas to bring this issue to the Security Council. He’d better dress up his representative as a clown when he brings the issue forward. Can people get real. Freedom of prayer is sustained. Methods of waking people up have and do change and are not part of ANY religion that I know of. Sheesh. 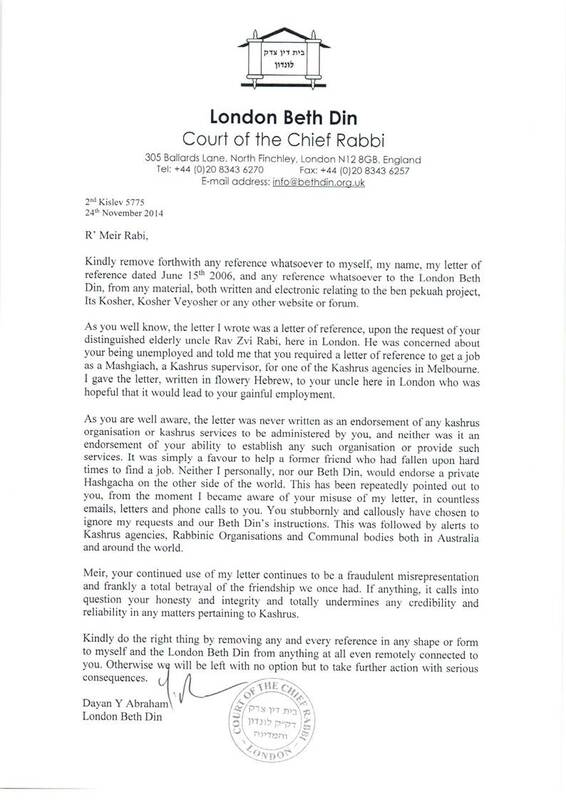 Maybe Rav Litzman thinks he needs a Beis Din to annul the Siren minhag on Shabbos because it is halachically a practice akin to a “vow”.